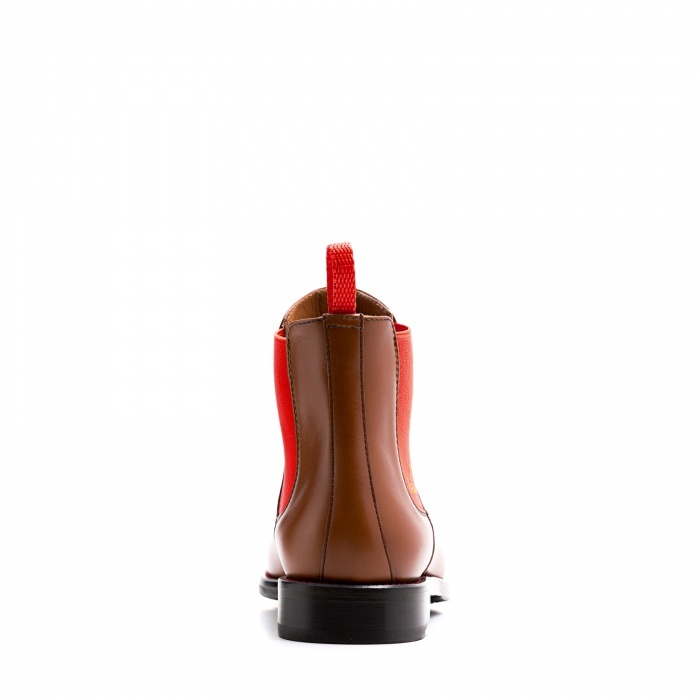 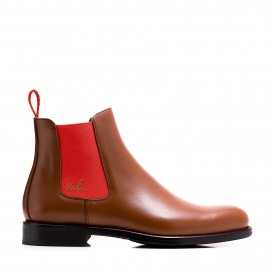 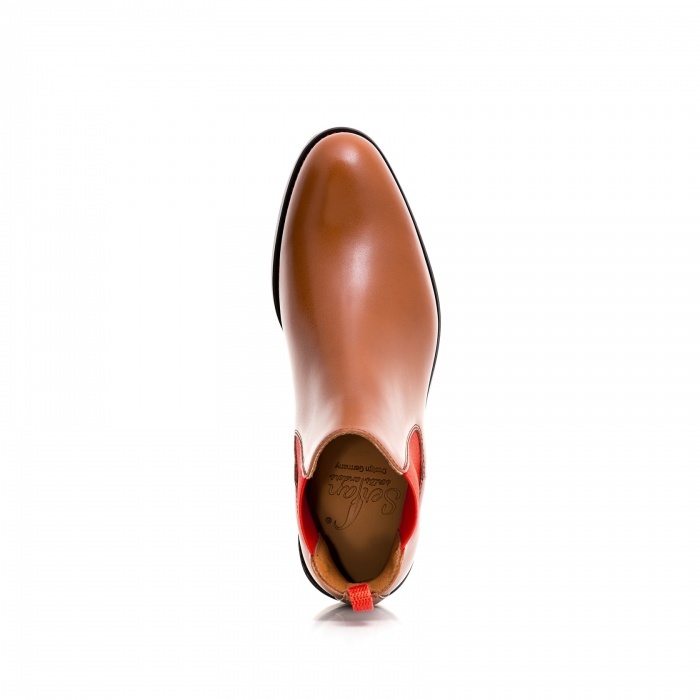 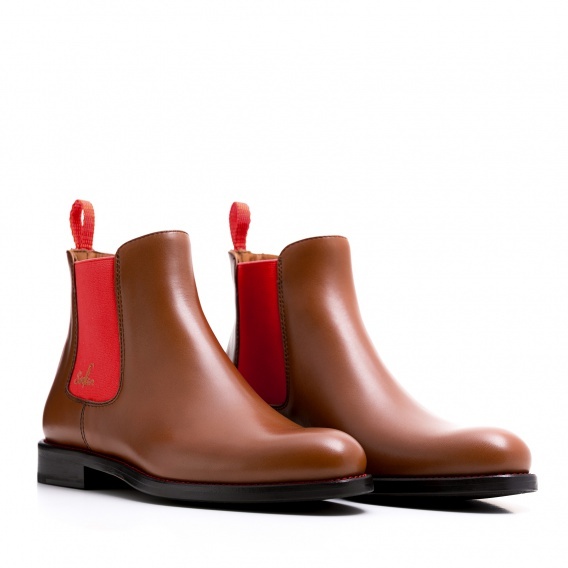 The Chelsea Boot in cognac with the red-colored spandex creates a perfect balance for a hectic everyday life. 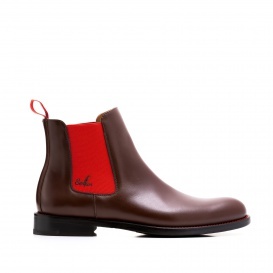 The color red can be combinded wonderfully and symbolizes a lot of life energy and good mood. 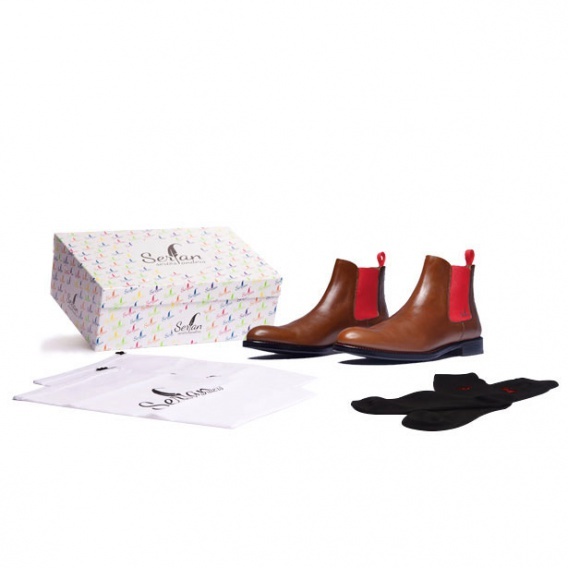 A white shirt with jeans, these boots, and your classy outfit looks modern and stylish. 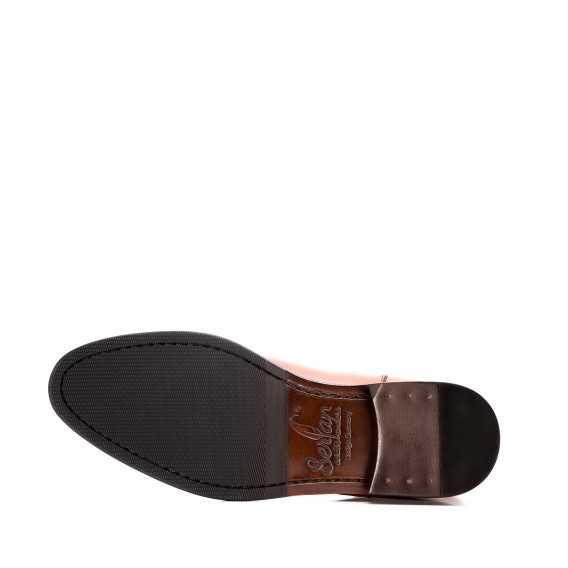 You are perfectly dressed for business days as well as for casual everyday life. 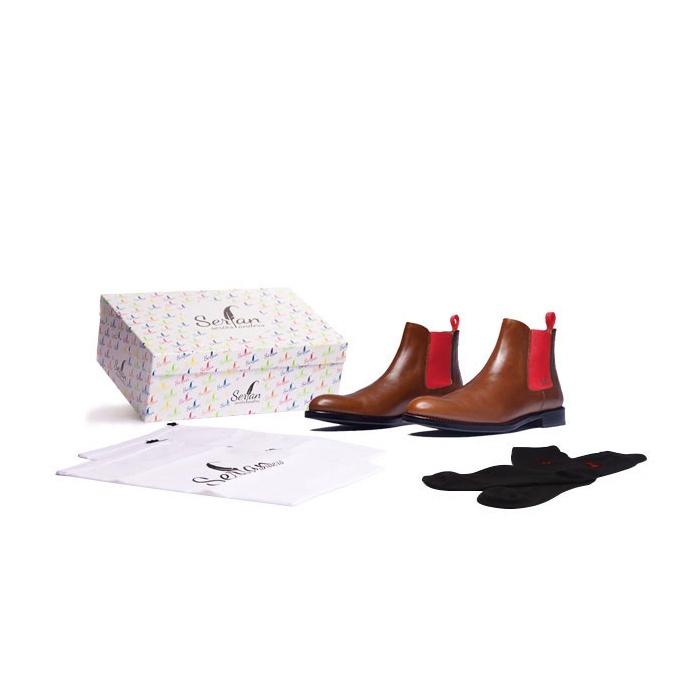 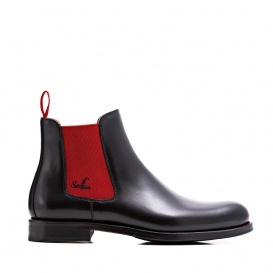 Typical for the Chelsea Boot are the elastic inserts on both sides which are providing a perfect fit and long-lasting comfort.